Diesel engines to a Ford are like the doors on your house. They are necessary and appreciated for daily use. The Ford 7.3 Powerstroke is by far the dominant engine in the entire Ford line up. While other engines like the 4.5, 6.0 and 6.4 are in use, it was the 7.3L that set the pace of diesel engine dominance for Ford in the 1990s. Few diesel trucks up until that point fell short on horsepower, but delivered on Torque. One of the things that makes the 7.3L different is the combination of high torque and high horsepower to create combustion that no automaker has yet matched. The Econoline, Excursion and Super Duty trucks might not have achieved the level of success that they have without a power diesel inside of them. While many automakers rely totally on gasoline engines, Ford continues to push forward with its offerings of diesel engines. Our remanufactured engines are all rebuilt for total excellence. 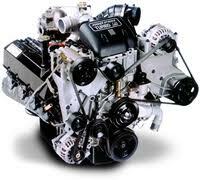 We are able to put up the investment required to buy these engines from used dealers. These are usually swap outs or other type of secondary engine. We take these engines into our engine shop and begin the rebuilding process. Our mechanics are all Ford trained and do a perfect rebuild. The first thing that you get is our extremely low price. We are not just competitive in the reman engine market. We know what our diesels are selling for online and we keep a close on eye what others are charging. We usually beat these prices and will continue to do so. Apart from paying less money, you get our no questions asked 3-year warranty at no cost. We will cover whatever happens in 3 years with our warranty. We don’t make you commit to driving less than a certain amount of miles each year or bother you about oil changes like other sellers. What you get as our customer is value, affordability and awesome Powerstroke performance. The next thing that we give you is our fast shipping. We don’t let your engine sit around in our warehouse for days before deciding to get our team together to ship it out. Your engine is shipped by real people and not a computer. Our experts personally take each order one at a time to our engine department. This hands on service ensures that we do not make mistakes. One team member speaks directly to another until your engine is crated and loaded for shipment. Your remanufactured Ford engine will arrive safely and in excellent condition. We use the most trusted freight carriers because of the nature of our business. Our number is 1-877-630-3873. Call to get our low price. We answer any question that you have and are happy to speak with you. If there is something you don’t see here, just ask us and we’ll give you the answer. If you want an emailed quote, enter the requested data into our 7.3L diesel quote form and our price will be sent immediately to you. How’s that for simplicity?